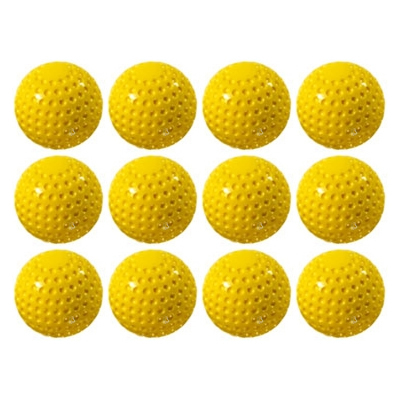 Made specifically for the Zooka ZS720 pitching machine and the Zooka ZS740 pitching machine, these 5 ounce Zooka Dimple Pitching Machine Balls are regulation size and weight. 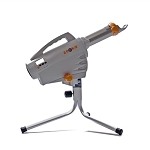 Although they were specifically made for Zooka pitching machines, they will work with any pitching machine. The aerodynamic dimpled design ensures that these pitching machine balls pitch consistently. They are weatherproof and virtually indestructible. Zooka pitching machine baseballs feature a one year manufacturer's warranty and ship free when purchased with a Zooka pitching machine or the Zooka Autoloader Ball Feeder. If you are going to use the Autoloader, get two dozen so that you can fill it to capacity! Zooka pitching machines balls should work well with most pitching machines. 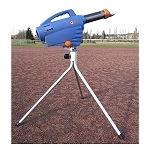 They are specifically approved for use with the following Zooka pitching machines. Zooka Sports is pleased to offer a 30 Day Satisfaction Guarantee. We are confident that you will be happy with your Zooka 5 ounce pitching machine balls for many years to come but, if for any reason you are dissatisfied, please contact us for instructions on how to return the product directly to Zooka. Returned items must be in good, resellable, "like new" condition with original packaging. Zooka Sports also includes a 12 month warranty with your pitching machine balls purchase. Please refer to our Shipping, Warranties and Returns page for full details. No matter where you order Zooka pitching machine balls from, NOBODY actually stocks them; they all ship directly from the manufacturer's warehouse located in Redmond, Washington. Therefore, the shipping time frame is exactly the same no matter what website you order from (we hope that it is this one!). Zooka pitching machine balls typically take 2-4 business days to ship from the time you place your order. They ship via FedEx Ground and could take anywhere from a day or two to a week to get to you AFTER being shipped, depending on your proximity to their warehouse. We will notify you of your tracking number the moment we receive it from the manufacturer's warehouse.